After my second biopsy, the doctor stated that I had early prostate cancer and outlined my options of treatment. I chose the most aggressive treatment and here’s why. 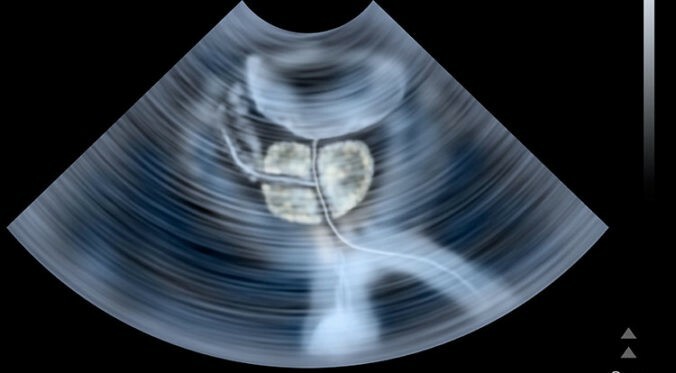 It was following a diagnosis of kidney and bladder cancer. My doctor asked if I’d had my prostate examined recently. No, I had not. So I had the bend over exam where he said, “Yep, you got something there too.” Really, three cancers discovered in two weeks! Two months later, I had a prostate biopsy. I’ve never had one and really didn’t know what to expect. Well, let me tell you it is not pleasant. The doctor takes a sampling probe through your back door. He samples the prostate by puncturing the colon into the gland. Not once… six times. The procedure completed, they instruct me to go. I ask for something to clean up. They tell me to walk across the hall to the washroom. Really? I insist on some paper towels because it kinda feels wet in the back end. I wipe myself to discover lots of blood. WTF!!! No one warned me of that. I was prescribed antibiotics to prevent infection. And it hurt like someone had punched me there. The pathology report came back two weeks later… inconclusive. My doctor recommends that we re-biopsy in six months. While recovering from kidney cancer surgery, I go for my second biopsy. At least I was prepared for it this time. It still hurt. Pathology report now said that I had early prostate cancer. They use something called the Gleason Score. I was at a six which is typical of early stage cancer. I could do active monitoring. It would involve periodic biopsies and action if and when needed. Ya, my experience is that those hurt and always had the possibility of infection. In fact, about 20% of biopsy cases result in infection. Radioactive beads could be inserted to kill the cancer cells. There are potential side-effects such as bowl incontinence. I could have surgery to remove the prostate. Typical side effects of surgery are urinary incontinence and erectile non-function. My choice was immediate and clear. I opted for surgery. How did I come to decision? I guess looking back it was pretty simplistic. The first two options depended on HOPE. I would hope that these would take care of the cancer. I didn’t want hope… I wanted certainty. Hope is never a strategy. I didn’t want Damocles Sword hanging over my head every day — eating at me with worry. Everything I had read about dealing with cancer pointed to using the most aggressive treatment possible to give the best possible outcome. So it was with me. I proceeded with open surgery and had my prostate removed in December 2015. I have a lovely six inch scar. The pathology report came back that it was indeed a Stage 2 cancer with no margins. The best possible outcome. And yes, I have both side effects (another blog post on dealing with these soon). It has been over one year, I remain cancer free… free of all cancers. I am grateful. I’ve been looking at some research on prostate cancer treatments since then. An editorial in the New England Journal of Medicine in October 2016, supported my actions. The editors recommendations for early stage prostate cancer is that “monitoring, as compared with treatment of early prostate cancer, leads to increased metastasis.” In other words this means monitoring increases the risk of malignancy. Furthermore, “if a man wishes to avoid metastatic prostate cancer and the side effects of its treatment, monitoring should be considered only if he has life-shortening coexisting disease such that his life expectancy is less than the 10-year median follow-up of the current study.” The editors conclusion is that treatment should be sought if you expect to live more than 10 years post surgery. I expect to live more than 10 years. I could never live with Damocles Sword above me hoping that monitoring or radiation treatment would work. I am comfortable with my choice of treatment. I am alive, breathing and enjoying the beauty that life offers. Originally published at dralanviau.com on March 19, 2017. Is It Too Late For Mammogram Screening?